Before reading the post, I wanted to share with you a great interview about how we, as Scrum Masters are always starting from Scratch (just like new year! 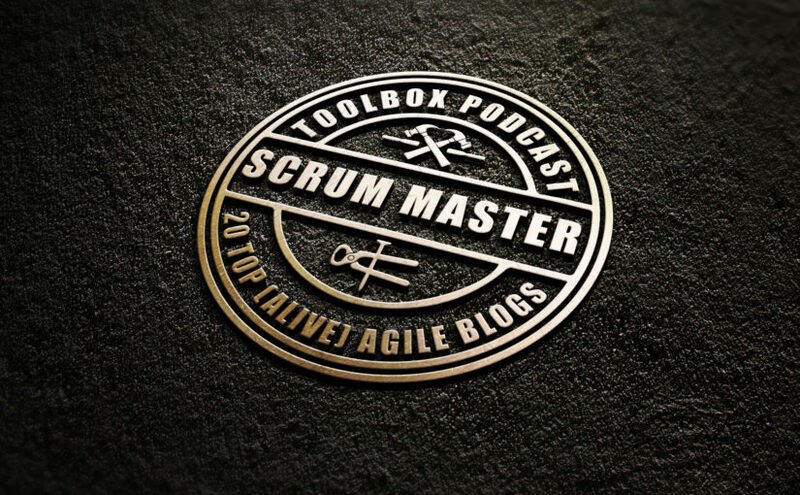 🙂 Here’s a Podcast episode as a new year gift from the Scrum Master Toolbox Podcast archive built over the last 3 years interviewing Scrum Masters from all over the world. I searched the internets for the best Agile blogs. I read 100’s of top 100 lists of Agile blogs, including the (now outdated) Oikosofy’s own Top 100 Agile Blogs list and found that none of those lists is useful. Too much corporate gibberish just because they have a good Alexa ranking. Well, ignore all of those! They are mostly static or outdated content with little REAL (and alive) AGILE CONTENT. So I made my own list! Below is a list of 20 (I can’t believe it was so hard to find even 20!) GOOD™ Agile blogs that you can rely on to feed your need for knowledge, ideas, and challenging views! PS: I even found lists of Agile blogs that had health blogs listed as “Agile” blogs. GEEEEZZZUUUUSSS, what next? Lists that include dog training tips? Give me a break! So, here it is. A hand-curated, slowly compiled, and generously educational list of blogs for you! Here is, the list of TOP 20 Agile Blogs for Scrum Masters that you will not (easily) find on google searches (2017 edition) – NOTE: in no particular order! 1) https://chronologist.com/blog/, Steve Tendon has been on the Scrum Master Toolbox Podcast before and also introduced the high-performance framework he developed: TameFlow. 2) https://agilesensei.com/blog/, Claudio Perrone is the author of PopcornFlow, a method that you must read about, if you haven’t yet. 5) https://agilewarrior.wordpress.com/, a coder’s perspective with lots of insights for Scrum Masters. We, as Scrum Masters work with developers (and check Michael Bolton’s entry for a tester’s view). So we should definitely be aware of what are the issues they struggle with, and the challenges technology poses to them every day. 6) https://ronjeffries.com/, one of the Agile Manifesto signatories and still very active in the Agile conversation, including work on TDD, #NoEstimates, Scrum and more. 8) http://www.funretrospectives.com/, retrospectives are one of the basic tools we use in Scrum. Reading up on new formats, ideas and developments should be part of our weekly diet as Scrum Masters. This is one of the blogs to keep track of! 9) https://age-of-product.com/, Stefan, the editor of the blog and Newsletter curates a weekly Agile newsletter (Food for Agile Thought). If you don’t want to search 100’s of blogs and media outlets for Agile news, then this one is for you. Make sure you subscribe to the newsletter as that will help you find the latest important developments in the Agile community. 10) http://www.estherderby.com/blog-page Esther is one of the authors of Agile Retrospectives book, a must in any Scrum Masters library. She also writes a regular blog where she shares thoughts, experiences, and challenges our views in a healthy way. 11) https://www.jrothman.com/blog/mpd/ Johanna, who’s been in a BONUS episode for the Scrum Master Toolbox Podcast writes a (very) regular blog where she shares her insights. As a very prolific writer, Johanna is a constant source of insights and inspiration. Must read! 12) http://jpattonassociates.com/blog/ When it comes to understanding Product Ownership I trust Jeff Patton. I have been a loyal follower of his work since I discovered Story Mapping (here’s our facilitation guide, if you want to run a Story Mapping workshop), and recommend his work to anyone working as a Product Owner or working with a Product Owner. 13) http://gamestorming.com/blog/ As facilitators, Scrum Masters are always on the lookout for new approaches, games, and visualization. So here it is, Gamestorming by Dave Gray is the place to go. Check it out and prepare an awesome Retrospective for this week already! 14) http://brodzinski.com/ Pavel is a CEO at Lunar Logic, but don’t let the title fool you. He is very much active in Agile Management and has published, and talked about Agile for many years. You can find his estimation cards (#NoEstimates compatible!) in the web-site as well! Check it out! 16) http://www.netobjectives.com/blog Al Shalloway runs one of the coolest Agile consulting shops in the world. NetObjectives has been active in the community for at least a decade. They were one of the first to offer a Lean and Agile podcast which I followed religiously (Lean and Agile Straight Talk). So they publish a lot of amazing stuff. It is a corporate blog, but the content is top-notch! 17) http://www.developsense.com/blog/ Michael Bolton is a reference in the Agile testing community. He has published many posts that got me to re-evaluate my beliefs. And as a Scrum Master that’s something I want to do regularly. Be warned: this blog will make you think! 18) https://availagility.co.uk/ Karl Scotland got me started with Kanban. And he’s been busy challenging the status quo since I met him in 2006. He still writes amazing blog posts regularly, and has been working on Agile Strategy, on which we have an interview with him in December 2017 here on the podcast. He talks business! 19) https://www.allankellyassociates.co.uk/blog/ I met Allan in 2008, and have been following his work for a while. His #NoProjects hashtag has (also) fueled many interesting conversations on twitter (be sure to check that), and he is constantly putting out amazing content! Must read! I did not include any blog that mostly publishes promotional content. I get that you must, to make a living, talk about your business. Hey! I do too! But blogs that only, or mostly have that kind of posts are NOT included. Why 20 top Agile Blogs, and not 42? Why is my blog not included / Why is blog X not included? Hey, maybe next time! Drop me a line at vasco@oikosofy.com and I’ll take that into the raw source list for next year. Make sure you/they have a blog post published recently though because otherwise, I will not include it. I get that. The purpose is not to be perfect, it is to be useful. These sites and blogs are useful to me, therefore I vouch for them. If you have a different list, awesome! Write another post and I’ll promise to post it here (constraint: blogs must be “alive” – see above, and about Agile Software or Product development!). Good list! I like the Reddit r/Scrum blog.